The agent’s marketing strategy: An effective marketing strategy is an important part of attracting enough potential buyers to generate solid, serious offers. A poor marketing strategy will needlessly prolong a home’s time on the market, with holding costs quickly adding up. 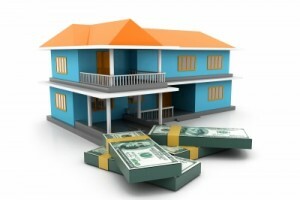 Not only that, but the price reductions and low offers that inevitable follow will further reduce a seller’s profit. The agent’s pricing strategy: If an agent’s pricing strategy is not effective, the home will sit on the market for longer than necessary. An improperly priced home may encourage low offers, and also necessitate price reductions. Buyers will note the reductions, which in turn will encourage more low offers. Holding costs: A home sitting on the market will cost the sellers every single day in terms of a mortgage payment, interest, property taxes, and utilities. Additionally, sellers who have already purchased their new home are forced to double up on these costs until their former home is sold. 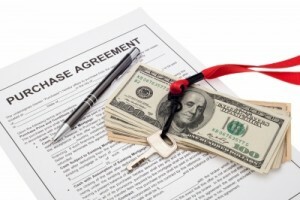 Closing costs: Many sellers forget about paying prorated property taxes, homeowner association fees, recording fees, transfer fees, and more. Additionally, some mortgages have a prepayment penalty, which requires payment of a fee if the mortgage is paid off prior to a specified date. The true cost of selling a home involves a lot more than an agent’s commission. Every cost reduces the seller’s potential to make a profit; sometimes leaving them with less money than expected after closing. Sellers wanting to keep the most money possible after the sale of their home should contact the experienced agents at Flat Fee Realty today! The savings begin with you. The Triangle’s spring real estate market is heating up, and buyers are looking for ways to strengthen their offers and stand out among their competition. One popular piece of advice is for buyers to increase the size of their down payment. Many buyers wonder why this would make a difference to sellers, since sellers receive payment in full at closing regardless of how much down payment there is in the sale. Flat Fee Realty wants buyers to know that it’s what happens before closing that makes a difference to sellers. A larger down payment makes the appraisal easier: For all sales financed with a mortgage, the lender performs an appraisal to justify a home’s purchase price and the loan amount. If the appraisal is too low, they won’t fund the mortgage, making the sale impossible. A larger down payment decreases the loan-to-value ratio, making the appraisal more likely to go through without any issues. Down payment size indicates a buyer’s level of commitment: While the days of 0% down loans aren’t completely gone, there has been an unmistakable trend towards larger down payments. More money down usually signifies a greater commitment to the property, putting anxious sellers at ease. Motivated sellers want assurance that they won’t have to deal with additional showings, more offers, and ultimately, more stress. A larger down payment (sometimes) means a more qualified buyer: In reality, a buyer putting down 5% can be much more financially qualified to purchase a home than s buyer putting down 20%. Credit issues, employment, and other factors come into play. But in seller’s minds, the fact that a buyer has amassed a decent amount of cash signified a level of financial and personal responsibility (whether or not this is true is anybody’s guess). Each of these scenarios comes down to one important factor: the ability to close the transaction. In the end, there’s no real difference between a down payment of 0% or 50%, as long as the sale goes through. Logical or not, a larger down payment simply gives many sellers peace of mind. Home buyers and sellers are surprised to find out that although real estate transactions have a financial aspect to them, there is a lot of psychology as well. If you’re looking for a stress-free buying or selling process, contact the experienced agents at Flat Fee Realty today!